As a researcher in Uday Pal’s mechanical engineering lab, Boston University Alum (Ph.d Mechanical Engineering ‘10) Soobhankar Pati developed environmentally-friendly procedures to produce metals like magnesium, calcium and titanium. 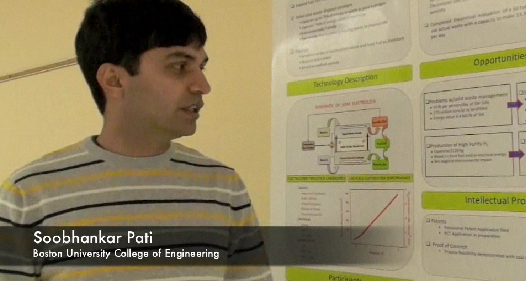 Pati’s research shifted from metals to clean energy. He, along with other researchers, developed a single-step, carbon-neutral process that uses garbage such as plastic bottles to produce separate streams of pure hydrogen and synthetic gas. 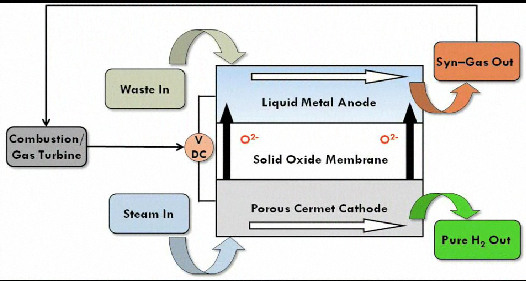 The extracted hydrogen is then used by fuel cells to get energy. Pati hopes to increase the amount of waste the device can consume to 2 tons over the next few years.